Pioneers in the industry, we offer precast wall from India. With vast experience and knowledge, we are involved in offering a premium quality range of Precast Compound Wall. 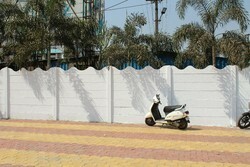 Looking for Precast Security Fence Wall ?